Tonight we’re celebrating Lynda Taylor, and wishing her well as she prepares to set off on a special retreat at Adhisthana during which she will join the Triratna Buddhist Order. 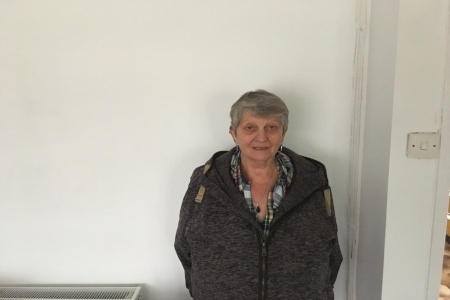 Lynda has a long-standing connection with the Manchester Buddhist Centre and has recently returned to Manchester after living in Wales for many years. It’s for Order members, Mitras and Centre regulars who have completed a Buddhism Level 2 / Going Deeper course. Please get in touch if you’re not sure. Lynda’s friends and family are of course welcomed too. There will be an introduction to what Ordination is all about, several friends will tell us a bit about Lynda, and she will talk about her journey to this point. We’ll rejoice in her merits and finish with a celebratory ritual. Do come along even if you don’t really know her! These evenings are always moving and inspiring. It’s great to gather together in large numbers and give a rousing and heartfelt send-off! You may also want to bring a card or gift for Lynda as she embarks on this important stage in her life.